Keep up with garden weeds. A thick layer of wet newspaper topped with straw or bark mulch can be a very attractive and effective weed barrier. Remove flower stalks on rhubarb plants and dead flowers on your ornamental plants (unless they have a particularly nice looking seed head). Visit a local strawberry farm to pick your own summer fruit. You can find a farm near you at the Maine Department of Agriculture’s website. When you get home, enjoy your berries fresh or preserve them by freezing or making jam. Learn more in Bulletin #4036, Let’s Preserve Berries and Bulletin #4039, Let’s Preserve Jellies, Jams, and Spreads. Sow seeds directly into the garden for a fall brassica harvest. Brassicas include: broccoli, cabbage, kale, Brussels sprouts, kohlrabi, and cauliflower. It’s also not too late to direct-seed carrots, peas, beans, beets, nasturtium, spinach, and lettuce. Keep your garden full! Get ahead of garden pests by regularly scouting your plants for insects. Consider Integrated Pest Management (IPM) when you have a pest management issue. Stake your tomato plants to ensure good air flow, reduce diseases, and improve fruit development. For a quick how-to, check out Vegetable Specialist Mark Hutton demonstrating some best management practices for staking tomatoes. If you prefer tomato cages, he gives some tips on that too. 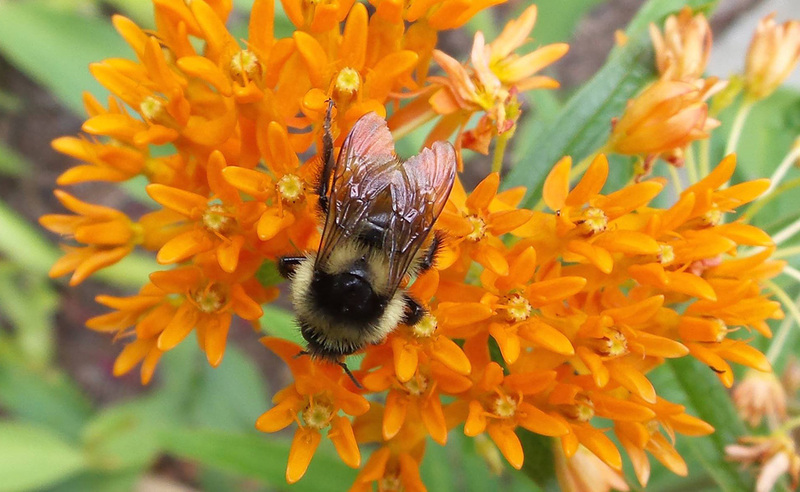 Celebrate National Pollinator Week, June 20 -26, 2016. Enjoy a nice glass of iced tea while watching your garden grow. Asclepias incarnata in Bangor. Photo by Liz Stanley. 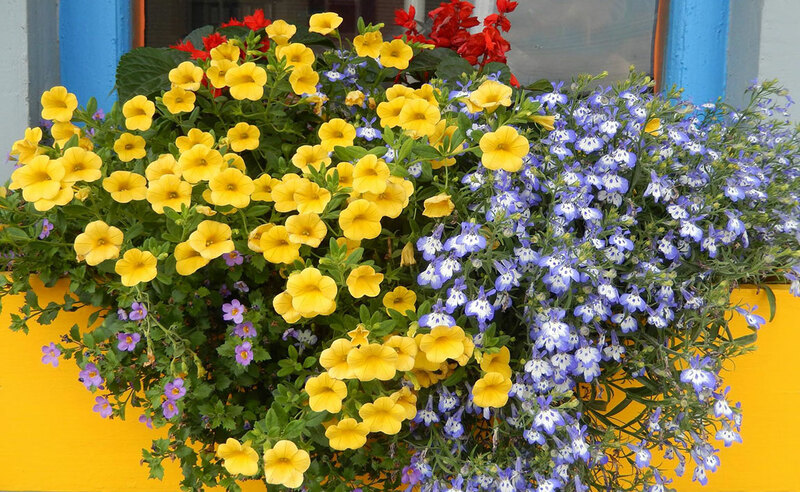 By the time you’re in your mid-50s, you think you’ve grown just about every plant, stretching the limits of your site, hardiness zone, and budget, with varying degrees of success (or complete failure). That’s why most experienced gardeners are overjoyed to the point of embarrassment when they “discover” something new for their gardens. In July of 2014, I enjoyed such a discovery while visiting Bangor for a concert. The music turned out to be not to our taste, so my husband and I went for a walk. We were surprised and delighted by the pocket gardens scattered around the city. Almost all of these small urban gems contained an unfamiliar plant in full bloom, covered with a variety of pollinators — bumblebees, honeybees, solitary bees and butterflies of all sorts. The purple variety seemed more attractive to the insects, but the white ones were especially lovely to look at and smelled like vanilla. When I returned home, I looked up the plant and decided I had to grow Asclepias incarnata. 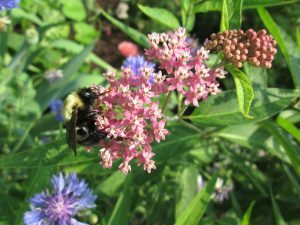 Swamp Milkweed (Rose Milkweed, Swamp Silkweed, or Indian Hemp) is a native, explaining its lure for pollinators. 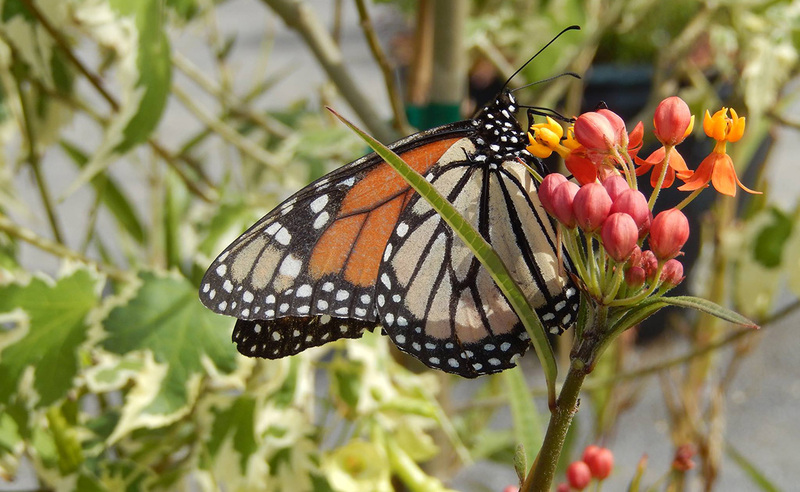 Like its wild field cousin, it’s an important nectar and nursery plant for the Monarch Butterfly. 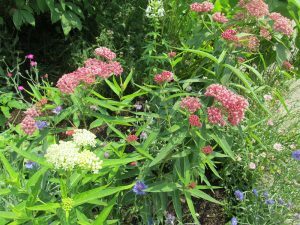 Swamp Milkweed flowers best in full to dappled sun, likes moisture-retentive soils around ponds and marshes (great for a rain garden), but will grow well in most garden soil once established. Growing 2-5 feet tall, the simple lance-shaped leaves are very attractive, especially when planted in clumps or drifts. Swamp Milkweed flowers in early to mid-July well into August and makes long-lasting cut flowers. Cultivars include the deep pink ‘Cinderella’ and a white called ‘Ice Ballet.’ I like them all. Do you remember those long-ago essays on the first day back to school? Even though many of us are long out of the school year routine, the idea of having a great summer trip to talk about is still a nice tradition. 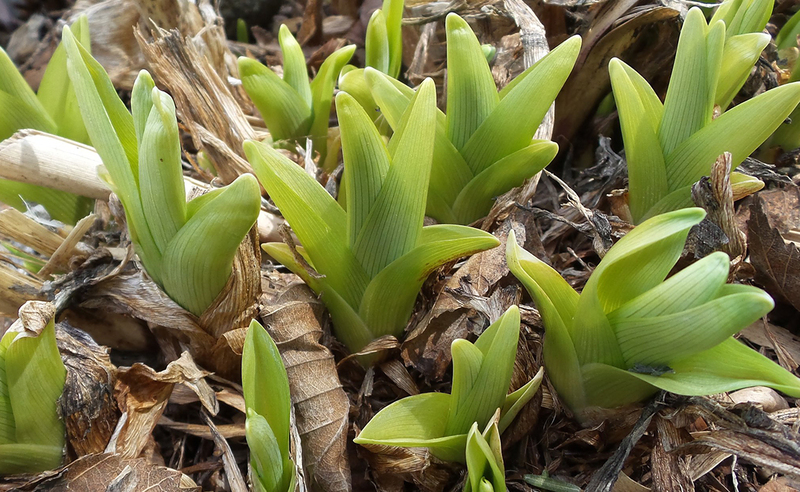 June is an excellent time to plan and actually start going on some of those gardening jaunts that will make for good stories as summer fades to fall. We often say, “Summer will be gone before you know it,” and some garden trip opportunities are the same way. Knowing what’s coming up in advance and planning appropriately is the best strategy — otherwise, you may be enviously hearing about a great trip the day after it happens! There are just a few things to keep in mind as you look at attending a “Garden Day,” “Garden Tour,” or some other form of garden vacation. Lyle E. Littlefield Ornamentals Trial Garden, located at the University of Maine. Decide what you want to see and learn about. Are you looking for inspiration? 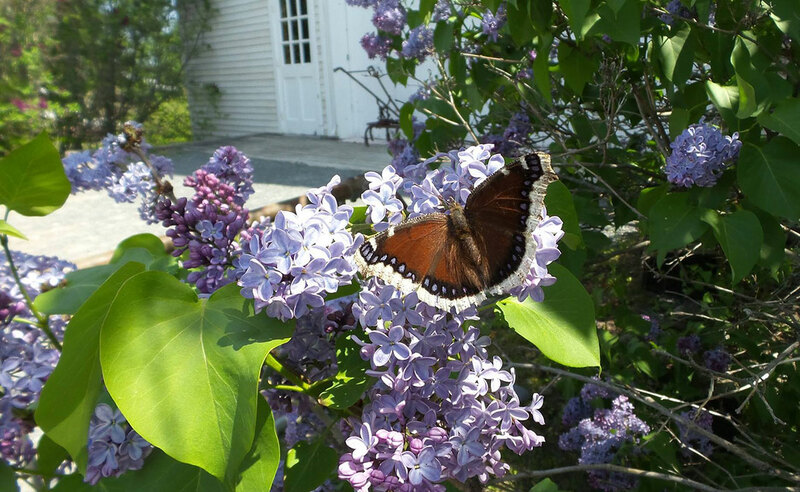 Perhaps a Garden Tour that includes several homes (look into Buxton on June 18 and Cape Elizabeth on July 18) is the best way to see many gardens in a short time. 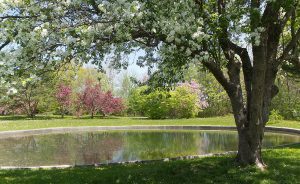 Are you trying to find that perfect tree for your yard? 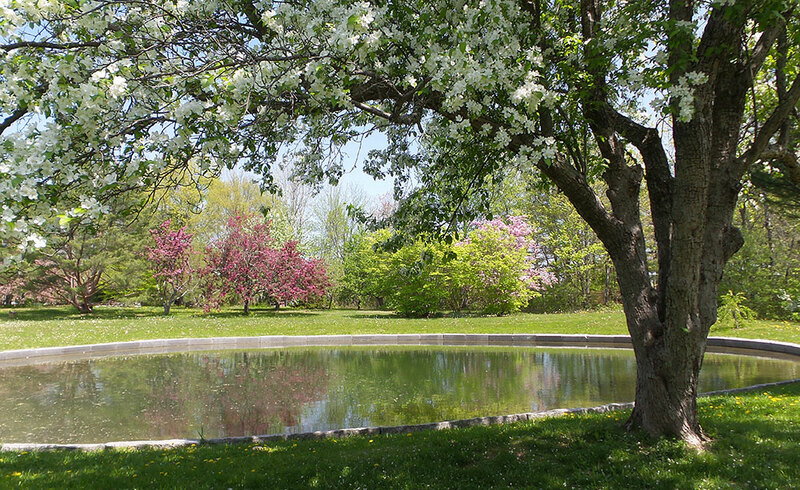 A trip to an arboretum, university, or even one of the famous park cemeteries is in order. Did you know the entire campus of the University of Maine in Orono is an arboretum, not to mention the Master Gardener Volunteer Demonstration Garden at the university’s Rogers Farm? 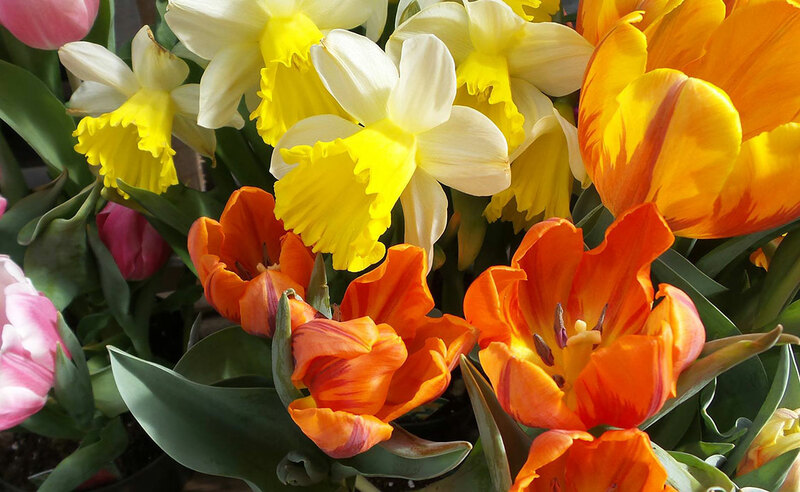 Pick a spot or event that matches your garden interests. If you are looking for inspiration for your urban garden, then the Open Farm Day (Statewide, Sunday July 24) will be a great experience, but probably won’t have a lot of ideas that will fit the scale of your particular garden. 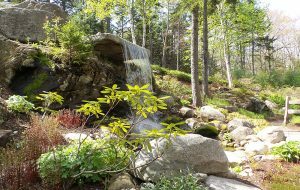 If a specific geographic spot meshes with your interests, then find out what group is there and what their summer programs look like (for example, Mount Desert Island has the Beatrix Farrand Society). 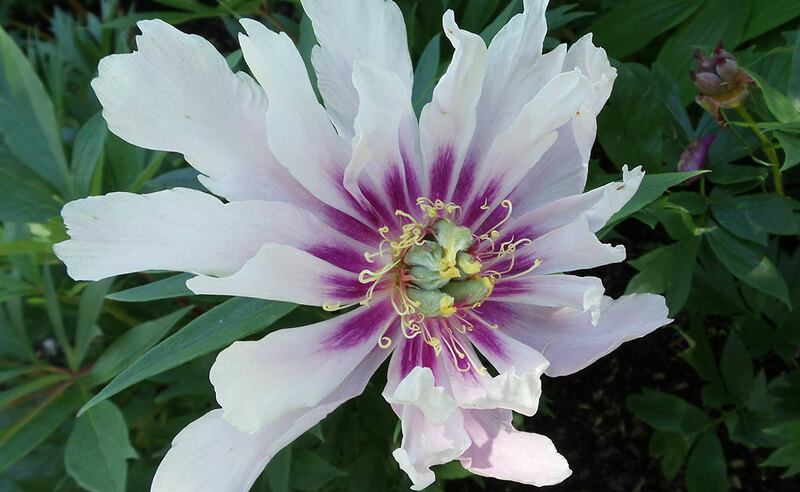 Some gardens are open to the public all season long, and towards the end of summer, there are also opportunities to visit various seed trial sites. 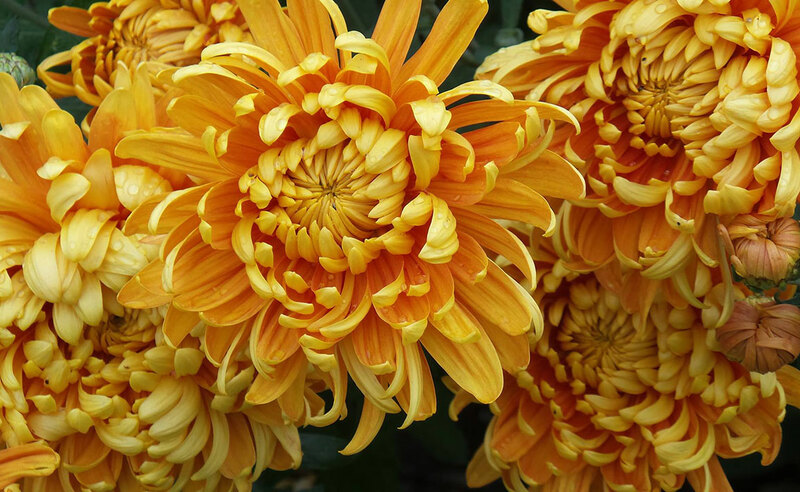 If the spot of your dreams is further afield, then start the research early to find and contact the local garden club, horticulture society, or Cooperative Extension in that area. 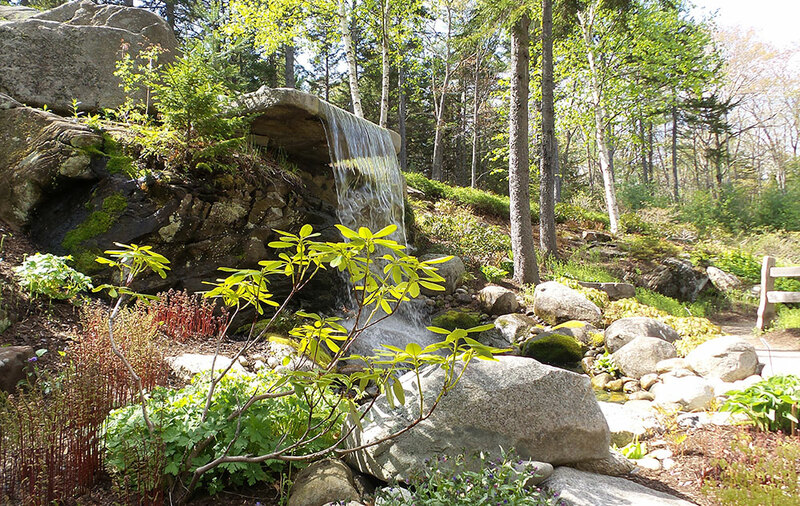 Waterfall at the Coastal Maine Botanical Garden, Boothbay, Maine. Photo by C. Eves-Thomas. Make the most of the resources. Garden tours come in many shapes and sizes. Some are costly and some are free. All are a commitment of a resource that none of us have in abundance — time. Make the most of the experience by bringing a camera or a smart phone to record what you see for later perusal. Many folks now also bring a tablet or notebook to record information about, and leads on, great plant resources. If you really want to learn about an area and it is convenient, consider volunteering there to become part of the experience. Many tours would not be possible without the volunteers and as a reward you may get some time to tour yourself. No matter which way you participate, be prepared for a day outdoors. Bring water, a hat, insect prevention, and sunscreen or rain gear as the weather indicates. Wear layers of clothes so you can be comfortable in what we all know can be changeable weather. Make sure you have comfortable shoes. The book club started in 2009 as a subset of the Hancock/Washington Master Gardener Education Committee. The first “leader of the pack” Susan Stahlberg served graciously for six years; recently the team of Sherry Fletcher and Lavon Bartel became communication and information coordinators for the group. Fourteen people are currently on the contact list with seven to ten in attendance at most monthly meetings. There are NO assignments other than to enjoy books and be ready to participate in discussions at the monthly meetings held on the third Thursday of the month in September-April (skipping December). In May the group gets together to prioritize seven books, from among many more suggested, to enjoy the next reading season. See below for lists from the last two seasons. 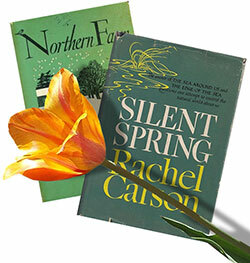 When we recently reviewed what makes this book club so successful in the lives of the attendees we found that we all enjoying learning the diverse subjects covered in the reading (diversity is built into the selection process) from gardens, gardening history, environmental movements, biodiversity, to plant biology. Participation motivates us to read (and often enjoy) books we might not otherwise read. We get pleasure from learning from group discussions where we bring our own experiences in gardening. This has promoted friendships across the years of the program. As one member stated, “There are many interesting discussions and much fun without alcohol or food. The group participation feeds our mind and not our mouths.” Another said “This book club involves people with a similar interest in gardening; I don’t get that from others.” It was noted, everyone contributes, no one overpowers others in the group and we certainly have a lot of laughs, even about our increasing frailties from aging. Attendance and preparation are purely voluntary and all are welcome to attend. At least yearly (or sometimes 2-3 times), Sue Baez of the local county UMaine Extension office “advertises” the group’s invitation and list of books selected to solicit newcomers. This is certainly a Master Gardener activity where there is a “consensus” we leave wanting more and knowing “A good time was had by all!” Should you enjoy books and look for great ways to be involved with other Master Gardeners, consider creating your own Master Gardener Book Club. It’s not only an excellent way to continue your education; it’s a fine way to expand your mind and meet others who have a similar passion to yours. Many factors contribute to the vitamin and mineral content of homegrown vegetables. Soil health affects the nutrient profile of the vegetables. But just as important in maintaining the vitamin and mineral content, is the cooking and storage methods used for these vegetables. 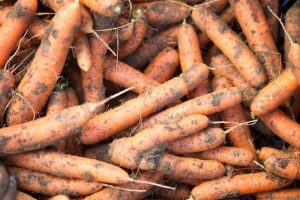 The question about whether to wash or not wash vegetables before storing is a common question. You may worry that not washing will bring dirt into your kitchen, but it is actually best to not wash vegetables prior to storage, as washing may cause the vegetables to rot. When storing without washing, rub or brush off any garden dirt with a paper towel or soft brush. For vegetables that need refrigeration, they should be stored at 40°F or less. If your refrigerator has a fruit and vegetable bin, use that, and be sure to store fresh produce away from raw meats, poultry or fish. Store fresh produce in plastic bags or containers in the refrigerator so they don’t contaminate other foods. 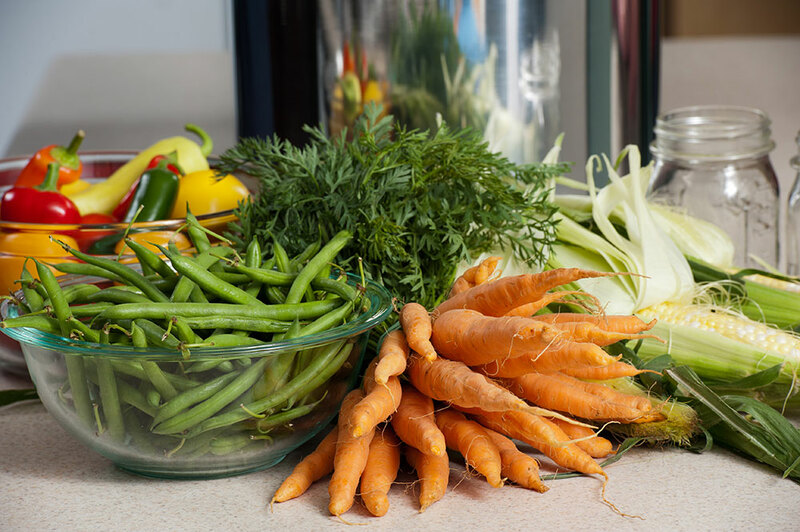 For more information about how to store vegetables, visit Five Steps to Food Safe Fruit and Vegetable Gardening and review the publication Storing Fresh Garden Produce. Eating fruits and vegetables is key in losing weight and preventing weight gain, and reducing the risk of certain chronic diseases. There is conflicting information about whether fruits and vegetables should be eaten raw or cooked. But, there are some nutrients — like water-soluble vitamins (vitamin C and folate), than can be destroyed during prolonged cooking. There are also some nutrients and phytochemicals that are more available when cooked — like lycopene, a phytochemical, from tomatoes. Cooking methods that take less time and use less water tend to retain more water-soluble vitamins. These cooking methods include microwaving, steaming, sautéing, and pressure-cooking. No one cooking method should be considered the only way to prepare and cook vegetables; instead, use a variety of cooking methods to prepare meals, including eating vegetables raw. Produce not eaten right away should be preserved for later use. 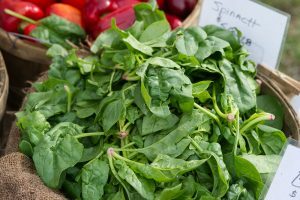 A researcher at the University of Georgia found that freezing specific vegetables and fruits after harvest preserved more vitamin A, C, and folate than storing in the refrigerator and eating after five days.1 The sooner you eat harvested vegetables, the less chance of vitamin loss. Freezing is an easy way to preserve vegetables. For more information about freezing vegetables, see Bulletin #4384, Freezing Vegetables. Home gardens are an excellent way to increase the availability of vegetables in your household. When you are planning your garden, remember that, in general, the more colorful the vegetables you plant, more vitamins and minerals they contain. 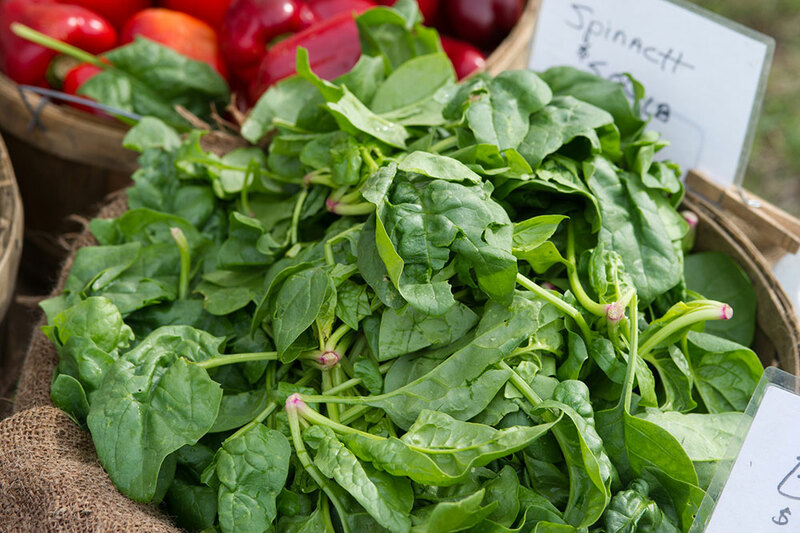 For recipes and more information about preparing Maine vegetables, check out UMaine Extension publication series: Vegetables and Fruits for Health. 1UGA study uses consumer behavior to determine whether fresh or frozen produce contain more nutrients. December 2013. Available at: http://www.caes.uga.edu/applications/gafaces/?public=viewStory&pk_id=4966.